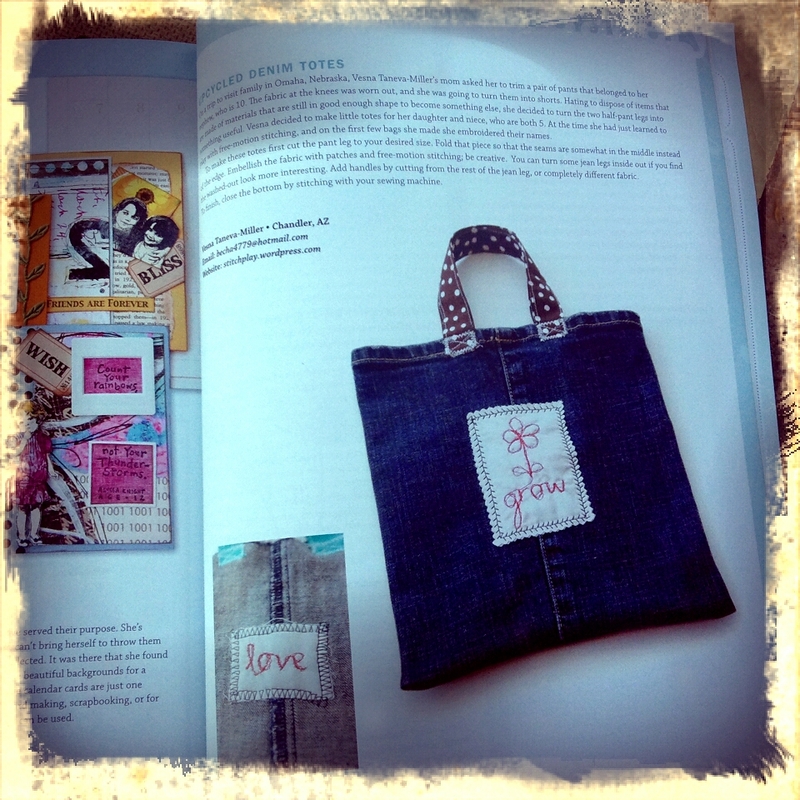 Here is something you can make with your old jeans that are destined to the thrift store. Cut up the legs and make mini tote bags. Last year I made a bunch of these and played with decorating them using free motion stitching. 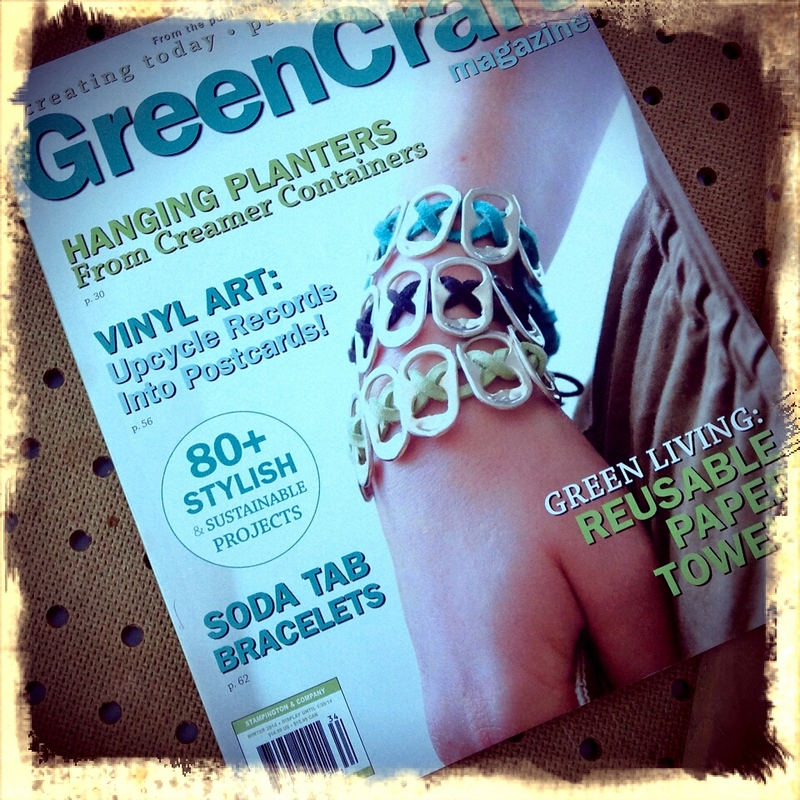 I sent them off to GreenCraft magazine and was delighted to see they selected them and are going to be published in the coming issue (out on newstands in November).